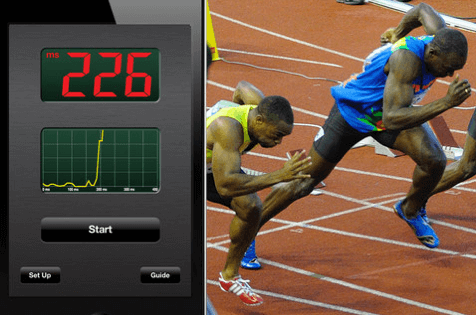 This simple, yet effective app enables users to measure their sprint start reaction time from the starting blocks. Simply place the iPhone or iPod inside your pocket, or better yet an armband and press the start button. You will then be prompted with “take your marks, set” and then a gun will sound. Your reaction time will be noted and displayed on screen following your explosive start. Anything under 100ms is considered a false start. Use this app to hone in your starting skills in an athletics unit. The easiest way to produce beautiful slow motion videos. A great way to explore movement and sports action in any context. A must have. 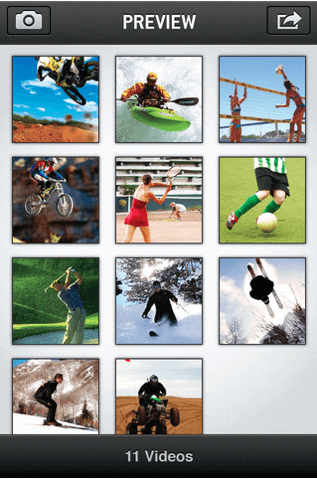 ActionShot lets you shoot sequential movement images in a snap. Simply point the camera in the direction of your intended target, the app will take a series of photos of the movement in action. You need to ensure that you hold the phone still and don’t follow the movement of the player. The finished results are spectacular. Try it in athletic field events such as triple jump to produce an amazing sequential action shot highlighting the key points. Check out the other top app lists here – Part 1 – Part 2 – Part 3 – Part 4– Part 5 – Part 6 – Part 7 – Part 8 – Part 9 – Part 10 – Part 11 – Part 12 – Part 13 – Part 14 or grab the PE Apps app for a great one stop collection of the best PE apps. I am an elementary education major at the University of South Alabama, and I was assigned to your blog by Dr. Strange for EDM310. As a dance teacher as well, I am really enjoying reading your blog. Thank you so much for the app suggestions. I teach a tumbling class at the dance school and I think the ActionShot app will be a great tool. I will be able to video the girls’ tumbling passes and then slow it down to show them what they need to work on. I look forward to reading the other top app lists soon. I really enjoyed reading your post this week. I am as student named Keith Tardibuono in EDM 310 class this summer. I have always loved P.E class and think that these devices would really help out the teachers and allow for the students to gain more knowledge and improve on their athletic abilities. I really liked the Runwithme App. I think that would be really good for couples that live far away from each other. For example, if a couple had lived with one another for a while then had to move away, they would miss their run time. But with this app they could have some of that time back and be able to run with each other (kinda). I also liked the Reaction Time one that was able to calculate your reaction time. So many football players would be grateful for this improvement method. Thanks for the post.